In this episode, we chat about woodworking joinery and the various options you have for making strong, lasting joints. 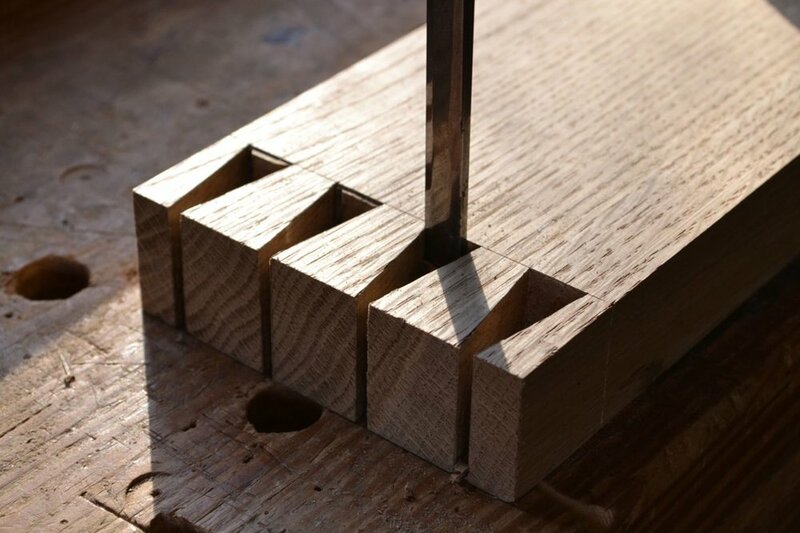 From dovetails to pocket holes, we talk about them all. Enjoy! Brad Ward: Question for the actual show, so you recommend learning joinery with hand tools as much as possible? Or just use the power tools if you have them? Tom from Pittsburgh: I have a quick question for you three. If you could spend a day in the shop with either Paul Sellers or Roy Underhill who would it be? Also who do you think would win in a build off? Great job on the podcast and all of your channels. Evan Dunville: Any plans to incorperate uppostry in any projects? James: Veritas Customizable hand plane.